Originator: Gardener of Mrs. Warsemayer from Massarelos, Porto, Portugal. Illustration: Jornal de Horticultura Pratica, 1884, Vol. XV, digitally remastered and republished by Joana Guedes and Armando Oliveira, Porto, 2010. Princeza Real is a beautiful medium size flower that has been forgotten for several years. 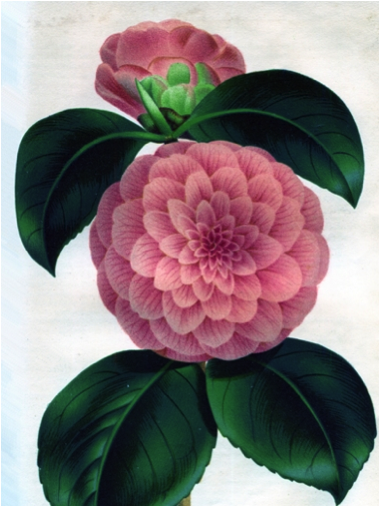 It is well documented in an old article by José Marques Loureiro, published in Jornal de Horticultura Pratica in 1884 that is accompanied by a colour illustration made in Belgium by the distinguished painter Mr. Pannemaeker. José Marques Loureiro is the owner of the most famous nursery of Porto and tells how he participated in the creation of this beautiful variety of C.japonica, and introduced it in the commerce. In the year of 1857, when Marques Loureiro was visiting a friend that was a gardener of Mrs.Warsemayer from Massarelos, he saw a branch escaping below the graft line of an Incarnata (i.e., from a stock plant grafted by Loureiro’s friend), with special characteristics, and asked for a little cutting to take with him. When he arrived home the small part of the branch had disappeared. Two years later he visited again his friend at Mrs. Warsemayer’s house and told him about the misfortune of the lost of the small branch and his friend started laughing and invited José to come and see the flower of that stock plant, offering him one plant in advance. 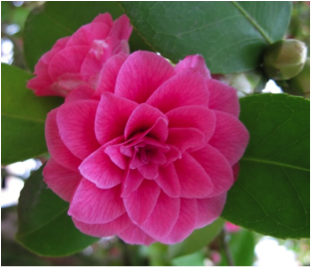 When he saw the plant with the flowers he became very glad because the camellia was full of flowers, and with a beauty that he didn’t expect. He describes the flower as ranunculus form (i.e., formal double) well imbricated, with a soft pink colour, beautiful beyond than any description. 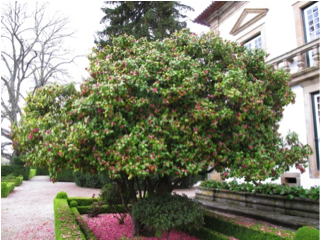 The variety Princeza Real appears at the catalogues of José Marques Loureiro since No.1 (1865) with 157 as reference number, till the last entrance we found in catalogue No.106 (1967-1968) from the Companhia Horticolo-Agrícola Portuense. Location of long established plants: Casa de Mateus, Vila Real; Casa Tait, Porto, both in Portugal.